What is the Heart of Your Bible Study? In this three-part series we explore the components of creating an effective small group. Each stage is important: getting started, facilitating group time, and finishing well. 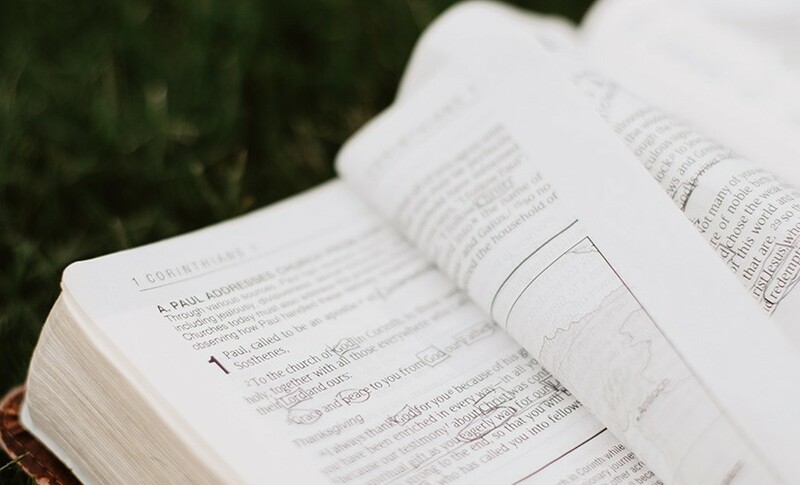 Try implementing these tips and insights for optimal Scripture engagement. The previous post in this series involved the preparation for a small-group session and its first half-hour or so. Here we dig into the Bible study itself. Your job is to get people talking about what they see in the Bible. As the leader of a small-group Bible study, you are a gatherer, a prodder, a spark plug. You don’t have to be a teacher. Some group leaders are great teachers. They have an appealing way of delivering their own insights on a text. People learn from them, and that’s wonderful. But it’s also wonderful if people learn from each other, from the text itself, and from the Holy Spirit. As a group leader, you don’t have to be a Bible scholar, but it helps if you can read the people in the room. Joe wanted to say something but kept getting interrupted. Liz made a face when that verse was read. Draw them out, spark an honest conversation, and you’ll stir a passion in them for Scripture as a living text that speaks to their lives. The best way to engage a group is not by delivering a great presentation, but by asking good questions. New leaders can have a hard time understanding this. They want to preach. This is their chance to tell folks what they need to know. They study the assigned passage and explain what they think it means. But the small-group model is not built for that kind of presentation. Small groups thrive when everybody gets a chance to talk, when each person is thinking about the Scripture and considering its meaning. If people disagree, that’s fine. If some folks have crazy ideas, they can often be steered back toward a more reasonable interpretation. The whole group gets to talk about the meaning of God’s Word, and that’s a great victory. With good questions, the leader helps to make that happen. While questions are crucial, most Bible passages are more likely to hit home when the reader has additional background. This is often historical or geographical information, but it might also be literary (perhaps identifying the type of writing) or theological (seeing how it connects with other passages in the story of God’s relationship with humans). Occasionally it helps to look up related Bible references. Some groups love this stuff, but others get glassy-eyed after about thirty seconds of anything that seems like a lecture. As a leader, you need to pick up cues from your group. They’ll let you know when you’re dishing out too much information. In church groups, people often try to say the “right” things. They want to fit in. They want others to see them as smart and righteous. But the most valuable interactions with Scripture usually come from those who are willing to express their honest doubts, frustrations, or confessions. A good group leader can stir up discussion by saying the things people are afraid to say. “Love your enemies? Who can do that?” You’re not debunking the Bible, but you’re acknowledging the difficulty of the challenge the Bible offers. Feel free to question the words or actions of Bible heroes; they weren’t perfect. And even with Jesus, it’s helpful to consider the human emotions he might have felt, even as we observe his divine choices. The haloes can blind us to the inner issues the biblical characters experienced. By the way, if your group is viewing a teaching video, it might be good to disagree with the speaker occasionally, or at least to pose questions that challenge what was said. Do so respectfully, of course. You don’t need to criticize the expert on the screen, but you do want to interact with the subject matter. So, don’t let the video have the last word. You want the video to start conversation, not end it. Some discussions spin out of control and you need to pull them back to the matter at hand. But sometimes those rabbit trails lead to buried treasure. As long as everyone is engaged, and as long as there’s still some connection to Scripture, you can let the conversation roam for a while. You don’t have to get through your list of questions. You don’t have to finish the chapter in the Bible. Enjoy the ride. On the other hand, if one person starts to dominate and others tune out, or if the discussion leaves the Bible behind as it strays into politics, movies, or sports—then yank the leash and refocus on Scripture. Master the “Yes, And” response to regain control of the discussion. “Yes, what a great insight! And that reminds me of what we see here in verse 11.” (You really don’t need a connection to verse 11, but as long as you’re affirming rather than correcting, the speaker feels fine and you’ve redirected the group to the text at hand. A small-group Bible study has two priorities: group and Bible. Help the people in your group develop relationships—not only with each other, but also (and especially) with God’s Word.